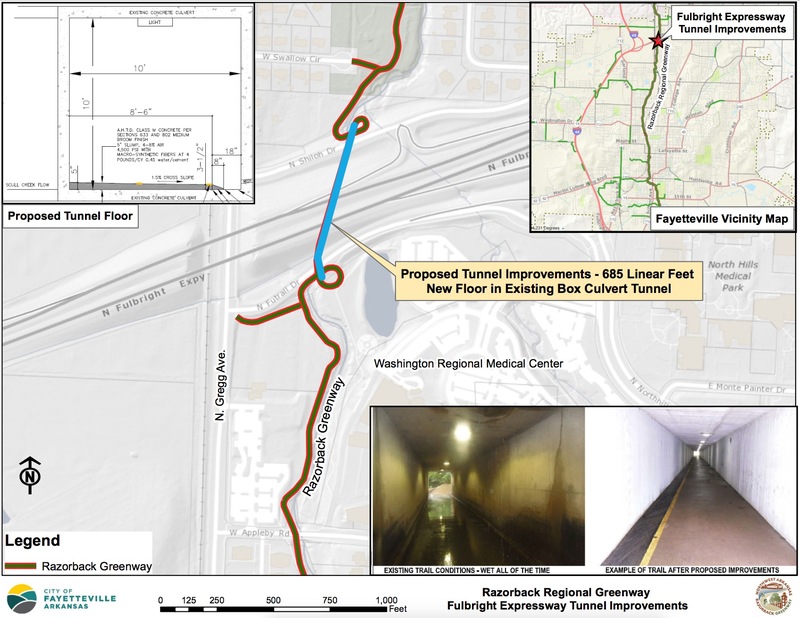 Riding or jogging through a popular trail tunnel will soon become a lot less messy. 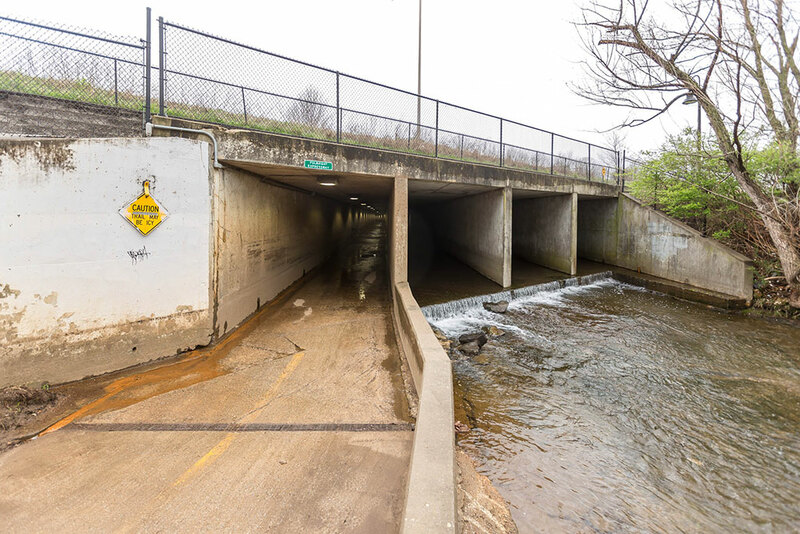 With federal grant money now in place, Fayetteville officials hope to move forward on a plan to improve the 685-foot converted culvert tunnel that passes under Futrall Drive, Shiloh Drive and the Fulbright Expressway. 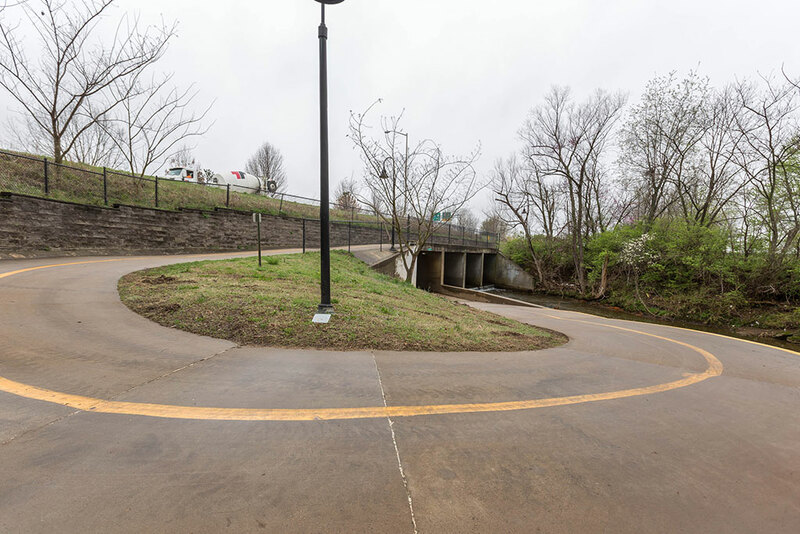 The lighted tunnel is part of the Razorback Greenway, but was not built for pedestrian and bicycle traffic. 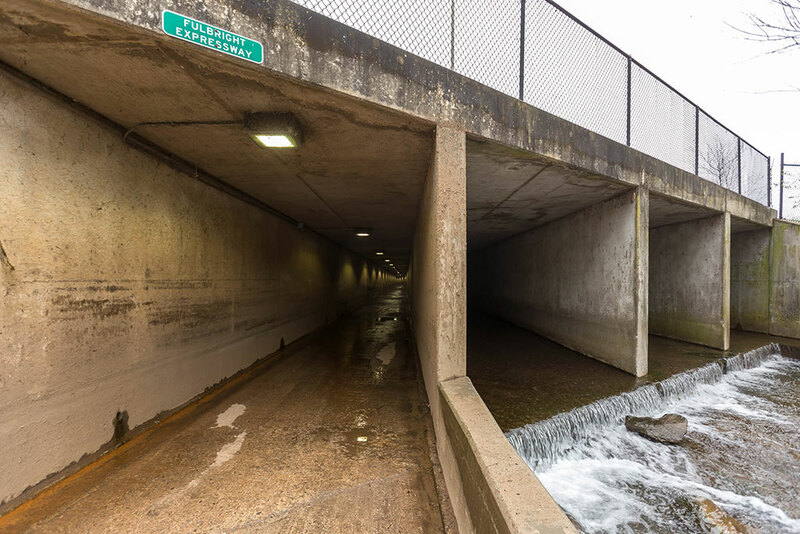 The passageway is actually a concrete box culvert originally designed to manage stream flow of Scull Creek. 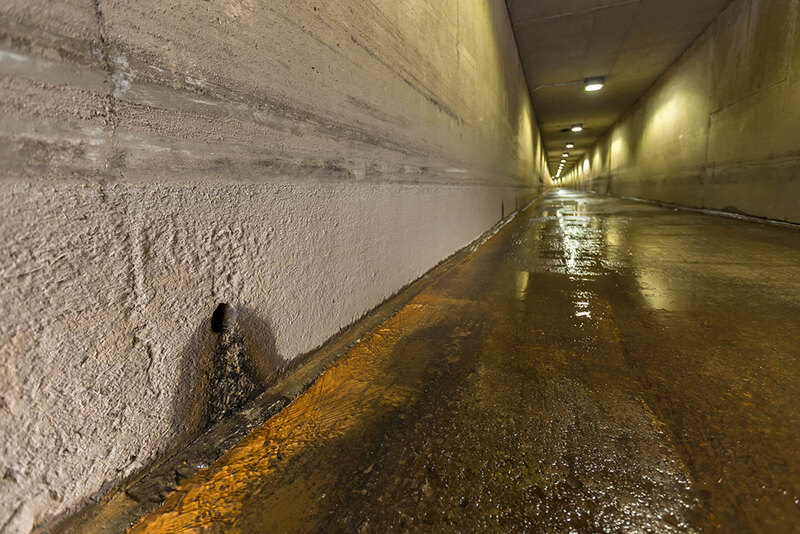 The culvert was converted for trail traffic in 2008, but still includes the original flooring which receives and transfers water from seep holes on the east side of the structure. 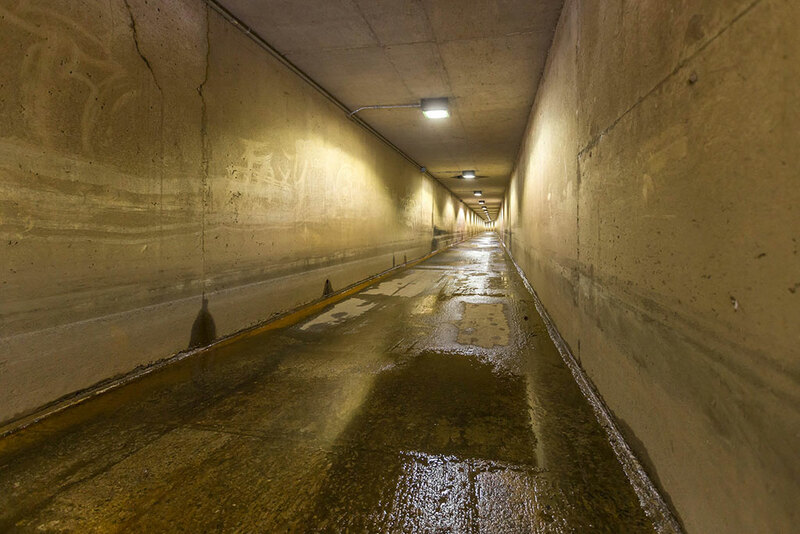 As a result, the tunnel is constantly wet. City Council members next month will consider an agreement of understanding with the Arkansas Department of Transportation for the work, which is expected to cost the city about $22,000. 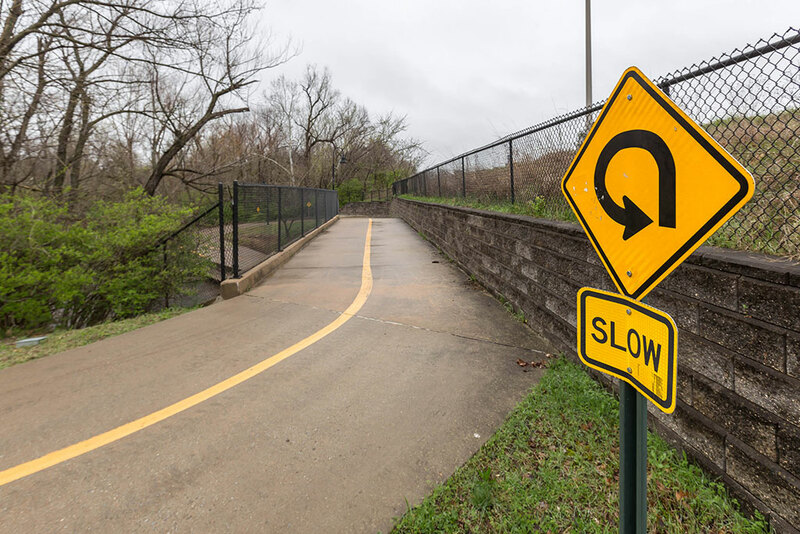 The city was awarded $88,000 from the department through the Recreational Trails Program to put toward the overall cost. 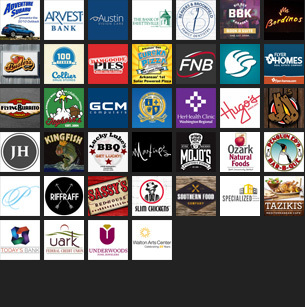 The program, which requires a 20 percent local match, has now funded 11 trail projects worth over $670,000 in Fayetteville since 1997.